Combine vinaigrette ingredients in a lidded jar and give it a good shake. It is a good idea to make extra vinaigrette as it makes an excellent marinade for meats or vegetables, can be used in pasta or green lettuce salads, and keeps for a long time in the refrigerator. 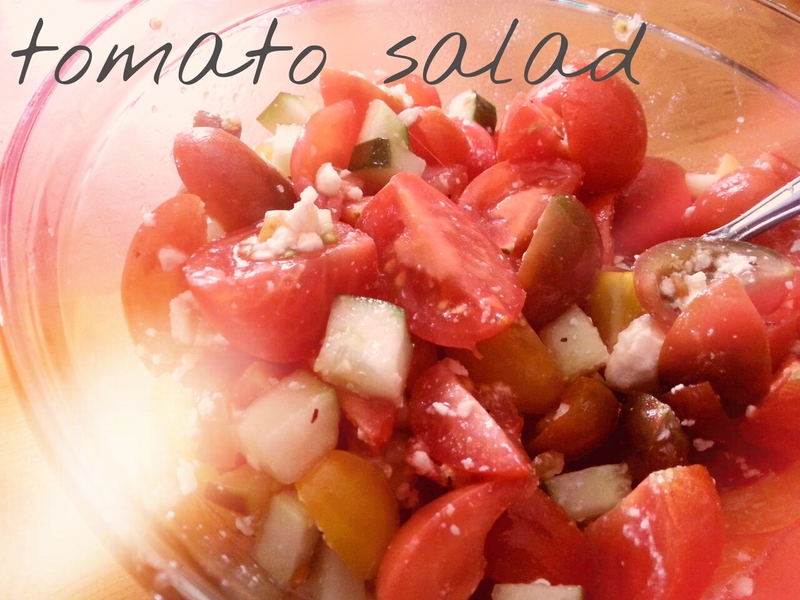 Use just enough of the vinaigrette to wet the tomatoes and toss. The tomatoes and cucumber will give off their own juices as well.